Racism, as SRtRC makes clear, cannot be reduced to the outcome of the construction of a particular set of media narratives. But SRtRC’s resources are useful in the way they go beyond this, encouraging pupils to think about the realities of racism in the UK, and its impacts. The Institute of Race Relations (IRR) has released a review of Show Racism the Red Card’s anti-racism education resources, championing the innovative and credible approach and praising the organisations work in helping to tackle racism. 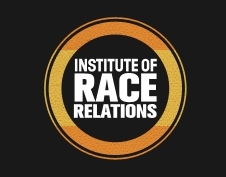 The IRR was established as an independent educational charity in 1958 to carry out research, publish and collect resources on race relations throughout the world. In 1972, the IRR’s membership backed the staff in a radical transformation of the organisation from a policy-oriented, establishment, academic institution into an anti-racist ‘thinktank’. At a time when anti-racism in education is often being reduced to ‘cultural awareness’ projects, Show Racism the Red Card’s direct tackling of racism is welcome. In the early 1980s, the Institute of Race Relations (IRR) produced a series of educational booklets on racism in Britain starting from the premise that, at that time, the ‘development and promotion of multi-cultural studies did nothing to tackle the fundamental issue of racism’. ‘Just to learn about other people’s cultures …’, these booklets argued, ‘is not to learn about the racism of one’s own. To learn about the racism of one’s own culture, on the other hand, is to approach other cultures objectively’. Yet some thirty years later, there is a new watering down of racism – seeing it as a product of a lack of shared values, of communities not being afforded enough opportunity to meet and mingle. And against this backdrop, Show Racism the Red Card’s (SRtRC’s) hard hitting educational materials on anti–racism are valuable resources. Growing from a £50 donation by the then Newcastle United goalkeeper Shaka Hislop to anti-racist campagners in the locality mid-1990s, SRtRC has become a leading educational organisation in the UK, producing materials, providing workshops in schools and, in Scotland, combating racism within football. In the process, current professional footballers have been encouraged to lend support, featuring on the DVDs that are used as resources, and former players help give workshops. Part of this work is achieved through the production of ‘education packs’ on various aspects of racism, including (but not exclusively) that directed at asylum seekers, Gypsies, Roma communities and Travellers, and on Islamophobia. The packs are designed for upper key stage 2 pupils (aged 11, in England and Wales) and older. SRtRC’s materials are at their strongest when they use innovative ways to show how racist ideas can circulate, and where they stem from. In their education pack about Islamophobia, a section on ‘media myths’ asks pupils to read and discuss newspaper headlines about Muslims such as ‘Hogwash: now the PC brigade bans piggy banks in case they offend Muslims’ (Daily Express) or ‘Get off my bus I need to pray’ (The Sun). All of these headlines are real; all of them propagate lies. And pupils are asked to reflect on the ways such portrayals impact on the perception of Muslim communities. Similarly, in the pack on asylum seekers, headlines such as ‘Kick out the scum’ (Daily Star), ‘Losing the war on asylum crime’ (Daily Mail) and ‘Bombers are all sponging asylum seekers’ (Daily Express) are examined. Pupils are given the opportunity to reflect on the impact of such media bombardment and the wider repercussions they may have. In both cases, they are equipped with facts about the issues they are looking at. The booklet accompanying the DVD on Islamophobia, for example, explains that ’36 per cent of media headlines about British Muslims overall are about terrorism’, or that the most common words used to describe Muslims in the media are ‘terrorist’, Islamist’, ‘Militant’ and so on. The resource on asylum seekers, meanwhile, has a powerful section on the reality of asylum seekers’ housing conditions in the UK and the restrictions that can be placed on residents’ movements. ‘Myth busting’, of course, is not an end in itself. Tackling a myth does not necessarily alter the context within which myths and particular ideas gain currency. And racism, as SRtRC makes clear, cannot be reduced to the outcome of the construction of a particular set of media narratives. But SRtRC’s resources are useful in the way they go beyond this, encouraging pupils to think about the realities of racism in the UK, and its impacts. In ‘Out of Site’, the resource on Gypsies, Roma and Travellers, a letter by Nellie Delaney is featured, describing the backdrop to the death of her 15-year-old brother, Johnny, in 2003. Johnny Delaney was killed by a group of teenagers, one of whom was heard to say ‘He deserved it, he was only a f*****g Gypsy’. After reading the letter, pupils are encouraged to write one of their own in response to Nellie, outlining ways in which they would try prevent such an attack happening again. This is part of a central message in all of SRtRC’s exercises: that pupils can have a role in resisting racism and challenging the country that they live in. Could this go further? Without doubt. When discussing how racism is shaped, materials could, for instance, help pupils to think also about the role of policies, laws and institutional groupings such as the criminal justice system. (After Johnny Delaney was killed, for example, it is worth bearing in mind the anguish that the judge in the trial caused when he denied that racism was an element in his death.) But what these resources do is create an environment where pupils can begin to ask and reflect on these critical questions. In doing so, they are valuable tools.